Man, remember a while ago when I said if we can get through the post-WM doldrums period with Shawn as champion it would pick up in August? 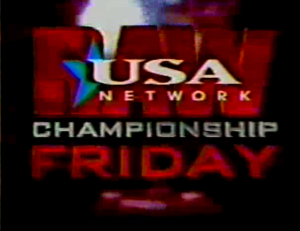 The SmarK Rant for Monday Night RAW – 07.15.96 Back to RAW, because why not? Taped from Green Bay, WI, thankfully for the last show from this cycle. Week three of a 1996 RAW taping cycle. Feel the excitement. HULK HOGAN’S ROCK N WRESTLING is added!